St Catherine’s School is an independent day and boarding school for girls, based in Bramley near Guildford, in Surrey. Teaching girls aged between four and eighteen, the school has a prep school and senior school. St Catherine’s School colours are dark and light blue with white. 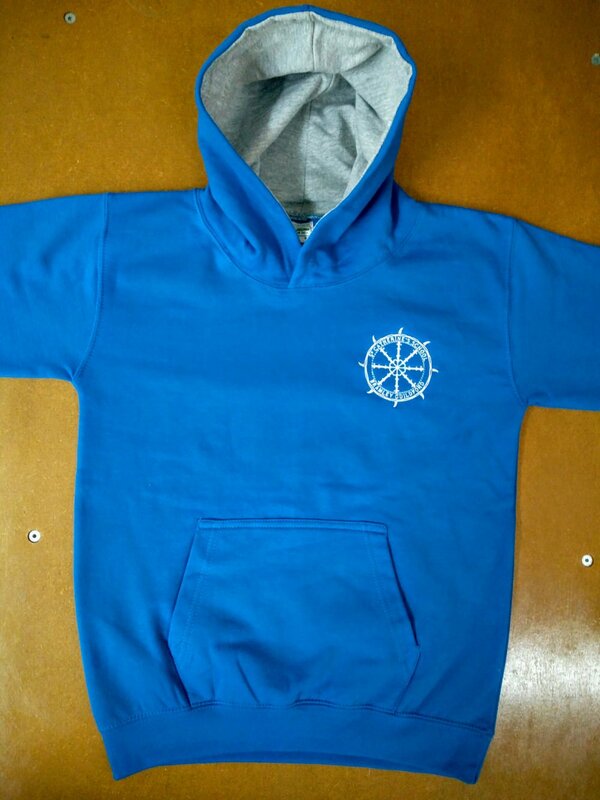 Using a similar colour scheme, the leavers hoodies for St Catherine’s class of 2017 leavers features a bright blue fabric with contrasting white print. 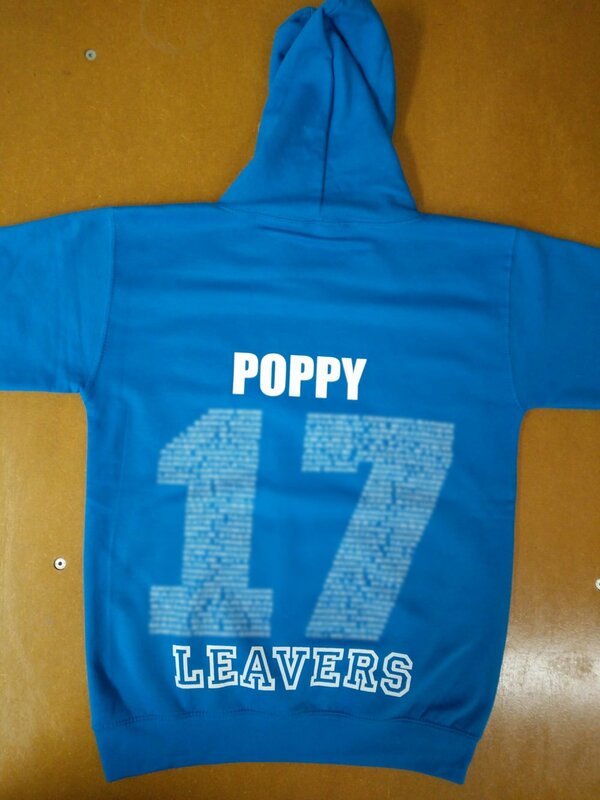 As with all of our leavers hoodies, St Catherine’s School leavers hoodies have been personalised to include leavers’ individual names and the word ‘leavers’ in whichever placement the school desired. 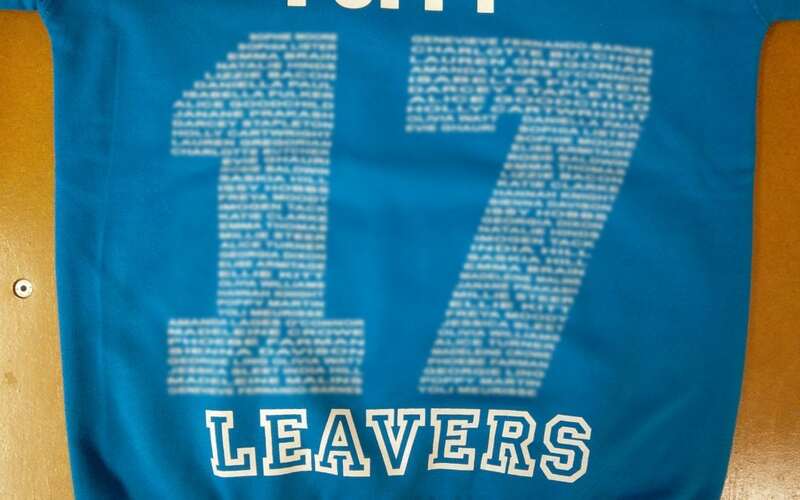 The names of the leavers within the class of 2017 have also been printed on the back of the hoodie, to form the number ‘17’ as representative of the year the leavers left. 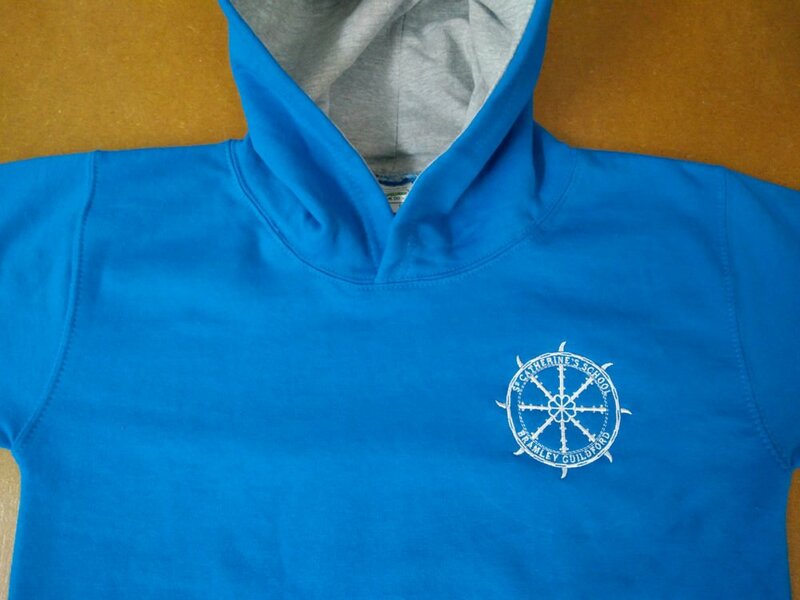 If you have a design in mind for a personalised leavers hoodie, get in touch to see what options we can help you with, by calling 01858 461 686.